Machakos Governor Alfred Mutua has told off the old crop of politicians saying their time is up and that they should pack up to create room to the young and vibrant leaders. Mutua made the calls when he addressed delegates at the fourth Annual International Research Conference at Kabarak University. He is known to have a soft spot for “digital” politicians and not “analogue” politicians”. His statement has however been interpreted to mean that he had allegedly referred to Cord leader Raila Odinga and Former Vice-President Kalonzo Musyoka as the old crop politicians. "The race is away from the elderly politicians and it is with the youthful generation. There is no reverse on this. Those reasoning otherwise have no option and they should accept and move on," said the governor. 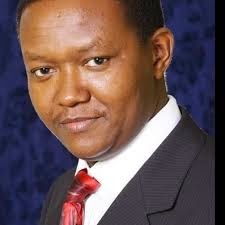 Mutua was elected on Kalonzo’s Wiper Party ticket but has since shifted loyalty and is currently working closely with President Uhuru Kenyatta’s Jubilee Coalition. He is one of the Machako’s politicians who have differed with Kalonzo on many political issues. 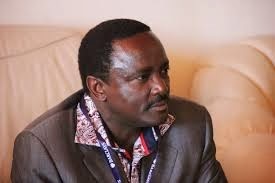 As to whether he will mend fences with Kalonzo before 2017 elections, only time will tell.